•	Lignetics wood pellets are made from recycled, renewable sawmill waste. •	Our wood pellets contain all-natural biomass. 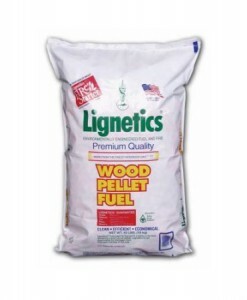 •	Lignetics wood pellet fuel is designated premium grade by the Pellet Fuel Institute. •	Our wood pellets produce a consistent, high BTU output and produce less than one percent ash. •	Lignetics East Coast wood pellets are made from quality hardwood sawdust. •	The emission rate for wood pellet stoves when using Lignetics premium wood pellets is approximately 1.2 grams per hour, which falls well below the nationwide EPA regulation of less than 7.5 grams per hour.